Home » Food » Snippets: Starbucks Coffee Kyoto Nineizaka-Yasaka-Chaya | The Most Beautiful Starbucks in the World? Snippets: Starbucks Coffee Kyoto Nineizaka-Yasaka-Chaya | The Most Beautiful Starbucks in the World? What’s the hype? The only reason to visit this particular Starbucks in Kyoto is because it is housed in a 100 year old Japanese townhouse. What to expect? The wooden Starbucks space is two storeys. Level one is where you queue to make your orders, though there are limited seats as well. The most unique part of this Starbucks is on level two, where the main seating area is. I like that there are different sections on this level, which creates a different style of enjoying your coffee. You can opt for the tatami mat, which is really the highlight at this Kyoto outlet. There are a few private and cosy tatami rooms, which you can score one if you are lucky enough. Otherwise, there are also regular table and chairs to simply soak in the century old vibe. How to get there? 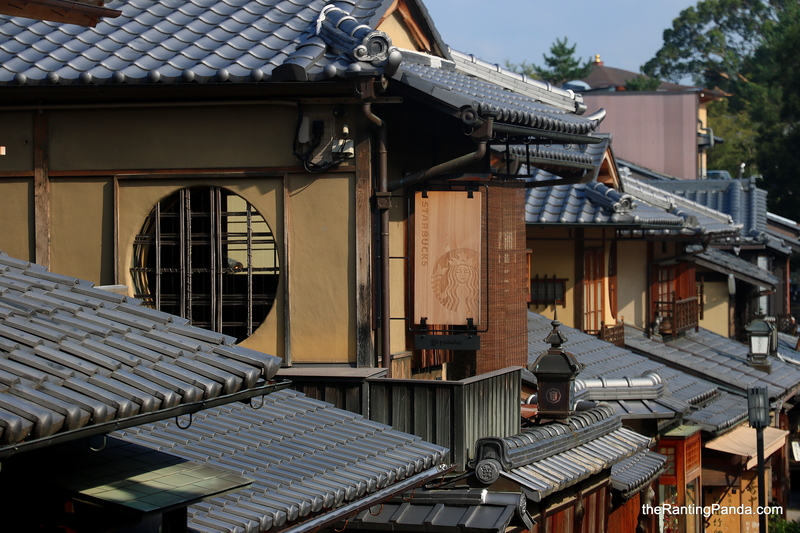 From Kiyomizu-dera, it is a mere 10minutes walk to Ninen-zaka, the street where the wooden exterior Starbucks is housed. Is this the most beautiful Starbucks I have even stepped into? It is a reassuring yes.